Marcella Hazan is most widely known for her three-ingredient tomato sauce, but her expertise extends beyond pasta and the things you put on it. 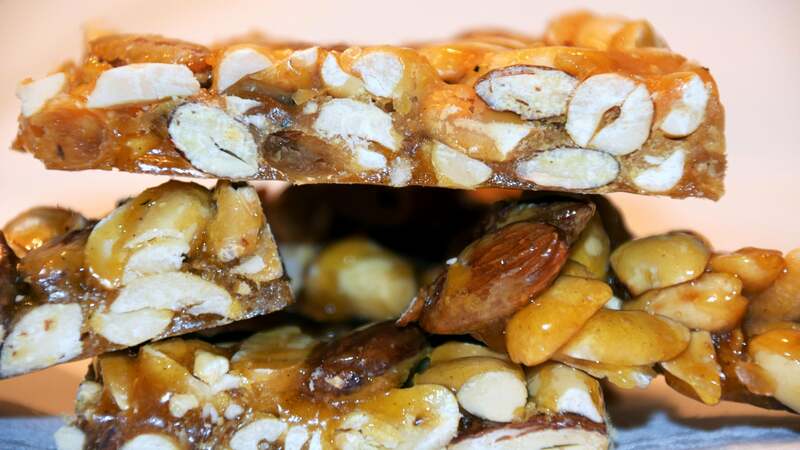 Click the link below to read the full recipe, but you can use a clean, halved potato to smooth out the top of any sticky, praline brittle-like candy to give it a glassy finish. Just wash a russet, cut it in half, and use it to spread the candy out as thin as your recipe calls for. The starch in the spud will keep the sugar from getting stuck, leaving you with a shiny, glossy finish.